One question that regularly and intensely consumes the mind of many Ethiopians is the question of knowing why Ethiopian elites are unable to work together. Especially those opposing the TPLF regime, even though they are well aware that the regime is their common enemy, invariably prove unable to agree on a common political agenda, let alone to act in concert to remove their common foe. Is the failure to act jointly due to irrational forces or is it the outcome of definite causes that are susceptible of a rational explanation? This paper is an attempt to rationally comprehend the failure, with the hope that some such comprehension will have a liberating impact, obvious as it is that the conscious awareness of the forces of division is liable to significantly reduce their grip on the mind of Ethiopian elites. The first answer that springs to mind to the question why Ethiopian elites are unable to work together is, of course, the lack of unity. But the latter is more of a question than an answer. For, why is there such a deficiency of unity? Why are elites, despite their enduring frustration toward the regime, nay their recurring conviction that the regime is leading the country to chaos, incapable of overcoming their divisions? The seriousness of the matter forces us to look for causes transcending the immediate preoccupations of Ethiopian elites, the very ones having to do with historical reasons. I submit that the most compelling causes are historical in that the lack of unity is a product of the ideological and political struggles since the dawn of the Ethiopian process of modernization. Let me explain. The appearance of a centralized and oppressive government and its ever-tightening grip over the country as essential ingredients of the Ethiopian process of modernization have entailed a growing rivalry over the control of power and wealth among old and emerging elites. As the progress of modernization modified the Ethiopian social fabric, the rivalry intensified. It reached its peak in the 60s when the conflict between the old nobility and the imperial state on the one hand and the various modern sectors (students, intellectuals, the emerging bourgeoisie, the bureaucratic and military elites, etc.) on the other hand increasingly took a political and ideological form. Where there is no enough wealth, state power becomes the privileged instrument to exclude competitors. The need to exclude generates, in turn, radical ideologies either in the form of hardened conservatism or extreme revolutionarism. The function of radical ideologies is to justify the political exclusion of opponents. Thus, to the conservatism of the nobility and the imperial state in the 60s and early 70s, students and intellectuals opposed socialism and ethnonationalism. The ideology of socialism allows elites to claim that they are the sole representatives of the working people, thereby depriving other competing elites of the right to represent the overwhelming majority of the people. As to ethnonationalism, it restricts the right to represent a given ethnic group to native elites, and so denies all political legitimacy to non-kin elites. Unsurprisingly, both ideologies justify absolute power as necessary to effect the exclusion. The characteristics of a state whose function is to exclude rivals are quite different from a democratic state. In the latter, not only conflicts are recognized, but they are also provided with the means of reaching an accommodation based on the verdict of the people. The provision of accommodation prevents the recourse to violence to settle disputes. By contrast, the excluding state rejects all form of accommodation, leaving to opponents no other choice than the overthrow of the state by violent means. This politics of exclusion foments a culture of confrontation pursuing a zero-sum game. The fact that winners take all, in addition to exasperating the conflicts between elites, inaugurates an endless cycle of violent confrontations during which one group overthrows the ruling elite until it is itself overthrown by another group and so on. The intensification of conflicts undermines the unity of the country and, most of all, weakens the ability of elites to work together by fostering a culture of mutual animosity and mistrust. As a result, the effort to generate a democratic state is repeatedly foiled. Clearly, these characteristics trace an accurate portrait of the Ethiopian state and elites. The main drawback of a state practicing exclusion is the lack of legitimacy. One group subduing other groups by means of force does not mean that the subdued groups recognize the authority of the state and are willing to obey. On the contrary, the groups are in a state of permanent rebellion and are just waiting for the opportunity to reverse the situation in their favor. However, their expectation makes victims of the lack of legitimacy of the state by nurturing an anarchic idea of entitlement to power. Indeed, where the state lacks legitimacy, many individuals feel entitled to aspire for the ownership of power. This aspiration stands in the way of the effort to create a collaborative spirit among elites by ignite mistrust and rivalry. A pertinent illustration of fragmentation is the tendency to create parties revolving around individuals rather than being based on ideas and goals. Nothing better confirms the truth of this analysis than the anarchic proliferation of parties in Ethiopia whose number is estimated to be more than eighty. Worse yet, these parties have the tendency to split into smaller parties because disagreements cannot be managed democratically. 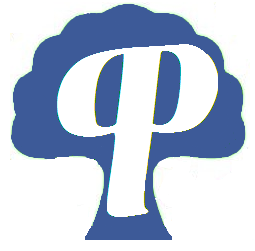 Given that influential individuals consider political parties as their private possession, they are apt to create a splinter party by walking away with their followers each time internal disputes arise. One must not forget that the flourishing of radical ideologies in Ethiopia is a direct consequence of modern education. Insofar as a system of education alien to the country’s history and culture has shaped modern Ethiopian elites, it has greatly facilitated the absorption of imported ideologies. The main outcome of Western education is not only to undermine the inherited common culture, but it is also to inculcate the paradigm of modernity versus tradition. The weakening of the common culture lessens unity while the paradigm of modernity values imitativeness by advocating the rejection of whatever is traditional as uncivilized, backward and by painting Western countries as the model to follow. This copyism or extraverted psyche is one of the reasons why the modern educated sector of Ethiopian society easily adopted Marxism-Leninism, which was the dominant ideology in the 60s and early 70s. The Marxist-Leninist definition of political struggle as a resolute elimination of rivals, as opposed to the accommodative stand of democracy, became the rule for Ethiopian elites, while ideological radicalization further exasperated their conflicts to the point where they were perceived as irreconcilable. The high point of these antagonistic relationships was none other than the insidious proliferation of ethnonationalism among the educated elites. The progressive decline of the fascination with Marxism-Leninism as a result of repeated economic and political failures of socialist countries and the prevalence of liberal democracy constitute an additional reason for the fragmentation of elites. The undeniable power of Marxism-Leninism was that it was a galvanizing ideology in that it identified the interests of elites with the liberation and empowerment of the working masses. The identification provided a nationalist vision investing elites, especially students and intellectuals, with the electrifying mission of becoming the liberators of the masses from oppression and exploitation and of their country from imperialism. Liberalism offers none of the excitements associated with revolutionary goals. True, liberalism can inspire a fervent defense of freedom that can be as revolutionary as the idea of socialism. But we must see it in the context of Ethiopia, that is, of a mentality not yet emancipated from the totalitarian doctrine of the 60s. Such a mentality could not but amalgamate liberalism with Leninism, the outcome of which is the confusion of liberalism with individualism. The attempt to combine ethnonationalism with liberal principles, as sadly exemplified by the ruling ideology of the TPLF, is the worst form of the confusion. The amalgam tries to apply liberalism while suppressing freedom in all its manifestations because of the Leninist remnant of politics defined as exclusion of opponents. Together with the caricature of liberalism by those who control power, there spreads among elites the interpretation of liberalism in the direction of selfish individualism. For this distorted liberalism, individuals should not be concerned about other people; their only worry should be their own interests so that all pursuit of grand causes is devalued. Clearly, where egoistic individualism becomes the norm, unity of purpose among elites is difficult to achieve. In Ethiopia, the unity of purpose has been seriously hindered both by the proliferation of ethnonationalist ideologies and by the inability to find a matching or counter ideology against ethnonationalism. The choice is reduced to being either a supporter, an opponent, or a resigned tolerant of ethnonationalism. The perversion of Ethiopia with ethnonationalist ideologies is a stumbling block to the formation of a common purpose if only because the threat to the integrity of the nation deprives competitors of a common cause. Since elites rejecting the Ethiopian nationhood aspire either to secede or to become dominant, they cannot work together with those who defend the unity of the nation, still less can they accept an all-embracing ideology. Given that the fragmentation of Ethiopian elites along ethnic lines is the work of the TPLF, it follows that the main culprit for the lack of unity is the TPLF regime itself. It is important to note here that the TPLF did not only divide Ethiopia along ethnic states, but it also opted for a terrorist method of government, the essential function of which is the inculcation of fear. Government by fear has a paralyzing effect: though the overwhelming majority of elites is set against the regime, it cannot act in concert to get rid of the regime because of the paralyzing effect of fear. Instead of action, resignation takes the lead with the consequence that the dislike of the regime never transcends the subjective realm of feelings so as to translate into political action. Be it noted that one of the effects of fear is the propensity to justify the postponement of political action. Indeed, fear provides justification for not acting together by enhancing little differences to the level of a fundamental disagreement. To the question of why opponents do not act together to remove the regime, the ready answer is the absence of agreement. Magnifying minor differences is how fear camouflaged itself into a valid reason for not acting, thereby avoiding the risks and dangers implied in political action. Not only does fear paralyze, but it also inspires fragmentation as a way of deferring political action. It is because dictatorial governments know that elites broken by fear cannot act in concert that they resort to systematic campaigns designed to spread fear. In default of promoting action, fear encourages wishful thinking. Terror induces hope but in the form of magic or fantasy. Evidence of this is the recurrent predication of an imminent collapse of the regime by many opponents. By underestimating the strength and survival capacity of the regime, they tell us that it is on its last legs, though nothing is being done to turn the hope into reality. This kind of magical faith is another way of avoiding the risks and sacrifices necessary to actually remove the regime. There is some consolation in doing nothing when it is believed that magical forces are bound to intervene in our favor. All the defects hampering rival elites pertain to a generation that has gone through the bitter experience of defeat and humiliation. The dreams of the generation of the 60s and early 70s have been squashed by the victory of the Derg whose dictatorial rule decimated its morale and that of their offspring. Both were offered nothing but the humiliation of a massive exodus. Whether they stayed in the country or left, all experienced another cycle of humiliating events when they witnessed, powerless, the defeat of the Ethiopian army, the invasion of the country by an ethnic army, and the secession of Eritrea. It is hard not to infer from these events a severe damage to Ethiopian nationalism and an erosion of self-confidence such that the generation’s belief in its ability to accomplish great things has received a deadly blow. Without self-confidence, the readiness to unite for a great cause is also likely to suffer gravely. Defeat and humiliation entail leadership crisis. Just as a defeated army questions the competence of its commanding officers, so too a vanquished generation loses faith in leadership. Once leadership is distrusted, the willingness to unite in an organization is drastically reduced. No less than the need to accomplish great goals, confidence in leaders is a requirement of unity. Without exaggeration, leadership crisis is one of the crucial setbacks of post-revolutionary Ethiopia, all the more so as the Ethiopian culture is prone to the cult of heroes, as witnessed by the fact that its past history shows that the death or the exceptional courage of leaders often determined the fate of wars. It would be naive to expect from a wounded generation the solutions to Ethiopia’s numerous problems. What was ruined by one generation cannot be fixed by the same generation. True change requires, above all, culture change, which takes time because it is a matter of creativity and growth. In short, real change is a generational issue. 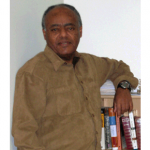 The TPLF, secessionist groups, and their opponents are all products of the dominant culture of the 60s. Their collaborations and conflicts show that society follows a determined path until it sees a precipice. The generation that takes the precipice as a precipice, and not as a redress of a vile social order, is the one called upon to change the direction. It sees an impasse in what other characterize as positive or negative developments. When things go wrong, the culprits and their opponents are the two poles of the same reality. To the extent that the thinking of the one is just the opposite of the other, they are one and the same, as they remain tied to each other by their very contradiction. Thus, as action and reaction, the Derg and the TPLF are one and the same. That is why many of the actions of the TPLF often give us the impression of a déjà vu. That is why also, just as the Derg, the TPLF is unable to solve the problems of Ethiopia. The generation that is free of the thinking uniting the Derg and the TPLF is alone able to bring real change to Ethiopia. However, the condition of its emancipation grows from the previous opposition, the development of which draws the limit beyond which the precipice lies. Reaching the limit clears the ground for the new, for “where danger is, also grows the saving power,” as says Heidegger. Whether such a generation is in sight is hard to tell. One thing is sure, though: the best that the defeated generation and perhaps their immediate descendant can do is to take a hard critical look at themselves and exchange their ambition to remain makers of history for the much more subdued role of midwife of the coming repaired generation. 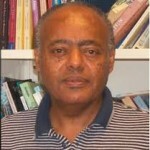 Messay Kebede is Professor of Philosophy at the University of Dayton in Ohio. 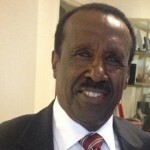 He taught philosophy at Addis Ababa University from 1976 to 1993. He also served as chair of the department of philosophy from 1980 to 1991. Posted by cybereth on Jul 18 2013. Filed under News, Views and Opinions. You can follow any responses to this entry through the RSS 2.0. Both comments and pings are currently closed.